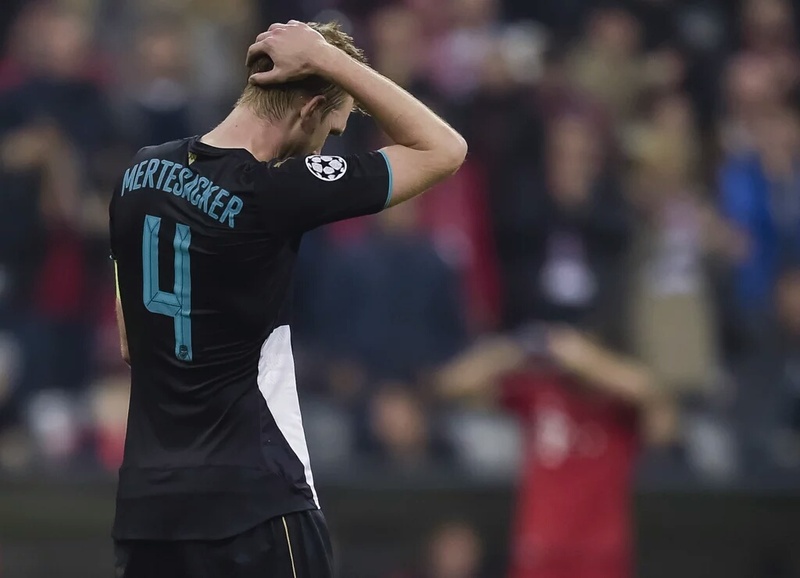 Arsenal’s hope of progressing to the knockout phase of the UEFA Champions League suffered another blow as Bayern Munich battered Arsenal to a 5-1 defeat at the Allianz Arena. Goals from Robert Lewandowski, Thomas Muller and David Alaba gave the home side a 3-0 lead at half time before Arjen Robben added a 4th in the 2nd half, 9 seconds after coming on as a substitute. Olivier Giroud grabbed a delightful consolation begore Muller added Bayern’s 5th to end the game. It was a game where the 1st goal was key to the pummelling. A failed offside trap let Lewandowski open scoring. A sloppy defence added the 2nd before everything went loose. Ozil had the ball in the night after Bayern’s opener but it was judged a foul and a yellow card for the German. The gunners had little or no option on the pitch nor on the bench. Bellerin couldn’t fly to Germany due to injury. Koscielny was on the bench but his hips made him unfit. There was no pace to threaten the Bavarians. Campbell huffed and puffed but his play in the final third need massive upgrade. Theo Walcott, Aaron Ramsey, Chamberlain are recent injury buddies. Bayern could have scored goals in double figures but Cech saved a lot, Debuchy had a couple of last minute ditches and Robben was robbed with only an empty net. Debuchy must have learnt from Bellerin. The gunners could have scored more but the profligacy in front the goal was unexpected from Cazorla who missed two opportunities. Yes it may not have saved the day but 5-2 is better than 5-1. Unfortunately for the gunners, the result in Greece was not good. Olympiakos beat Dinamo Zagreb 2-1 and now have 9pts, same as Bayern. The Greeks need just a point in their next 2 games to progress. They have Bayern and Arsenal to play. If Arsenal must progress, They must win their next two games with a better head to head advantage and hope that Bayern defeat Olympiakos. Before the Bayern game, Sunshine Stars of Akure defeated Rangers by 5-1 in a rescheduled game of the GloNPFL played in Lagos. It was like a precursor to the Bayern vs Arsenal game. That was the first league game to be played in Lagos for ages. Enough for a Nigerian Gooner. Tomorrow is for the Golden Eaglets before the weekend full of Tottenham and Warri Wolves.